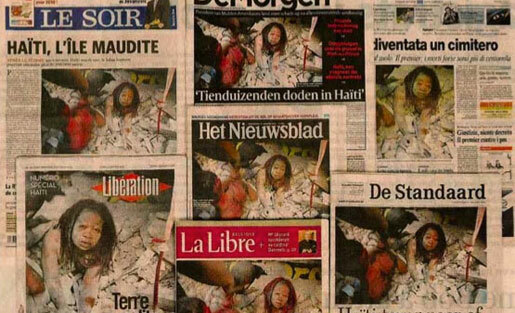 From March 2010 court filing: Daniel Morel's photographs appeared on the front pages of newspapers worldwide with the logo "AFP/Getty" and the name "Lisandro Suero" or "Daniel Morel." A recent U.S. court decision clarified that media organizations cannot assume that photos shared via Twitter are rights-free, to be used as though they were in the public domain. In the case of Agence France-Presse (AFP) v. Morel, U.S. District Judge Alison Nathan ruled in favor of freelance photographer Daniel Morel. Her judgment: Both AFP and the Washington Post had infringed on Morel’s copyright. The temptation to use the work of amateur photographers, particularly in breaking news events, will be hard for media organizations to resist." Not unlike last week, when some British news organizations published front-page photos of a helicopter crash sourced from Twitter, in January 2010 AFP lifted Morel’s photos of the Haitian earthquake from Twitter/Twitpic and distributed them on its wire service. Morel’s photos were published on websites around the world, often incorrectly credited to Lisandro Suero. 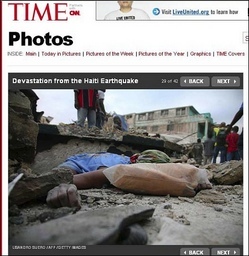 Morel, a former AP photographer, was in his native Haiti at the time of the earthquake, January 12, 2010. He created a new Twitter account and uploaded 13 photos to Twitpic. As Photo District News reported, after Morel realized AFP and Getty had appropriated his photos, his agent, Corbis, sent take-down notices to Getty and AFP, but it took AFP two days to issue a kill notice. Moreover, the photos had also been falsely attributed to Lisandro Suero; some of these photos can still be found on news sites. Clearly, the photos were powerful. Morel won the 2011 World Press Photo contest for spot news. Also in 2011, Morel settled with ABC, CNN and CBS. Was the act — AFP’s copyright infringement — willful? The judge left the answer to that question to a jury. “[T]he Guidelines further underscore that the Twitter TOS were not intended to confer a benefit on the world-at-large to remove content from Twitter and commercially distribute it: the Guidelines are replete with suggestions that content should not be disassociated from the Tweets in which they occur. According to Barbara Hoffman, attorney for Morel, a February 1, 2013 court appearance has been adjourned. She anticipates a jury trial in April or May, depending upon the court calendar. In the wake of this decision, BuzzFeed appears to be walking a risky path, according to this analysis from Poynter. The company is presenting sponsored posts — in other words, embedded ads — that rely on web-sourced content. In a sponsored post from 2010, BuzzFeed appropriated a copyrighted photo published first on The Daily Mail. The photo on BuzzFeed was cropped to remove the photographer’s ID and copyright line. And someone slightly modified the color of the sky. That argument seems almost as quaint as AFP arguing that links to photos shared via Twitter made the photos fair game for media organizations to appropriate and sell. But they do, when it’s other people’s work. In other words, Tumblr and Pinterest users cannot legally appropriate someone else’s photos and publish them as their own. First, Tumblr. When someone uploads an image to Tumblr, she is asserting that she owns the rights to that image. To do otherwise is a violation of the TOS and makes the account holder liable for any copyright claim that might be directed at Tumblr. The TOS at Tumblr expressly allows sharing (reblogging) content on Tumblr.com. That’s the price being paid, so to speak, to use the service. So that’s why it’s legal to share an image within the Tumblr sandbox. Second, Pinterest. When someone “pins” an image on Pinterest that is hosted on another website, the account holder is supposed to link back to the original source. When someone uploads an image to Pinterest, just as on Tumblr, she is asserting she has the right to do so. And the TOS at Pinterest also expressly allows sharing (repinning) content on Pinterest.com. Neither behavior reflects what BuzzFeed is doing with its sponsored posts, posts that may contain a dozen or more images harvested from around the web and published in one advertisement on a for-profit media outlet. It seems like common sense, but understand the terms of service on websites that host images before you appropriate a photo. And recognize that some services like Flickr host photos with a range of licenses, from generous (commercial use allowed) Creative Commons ones to locked-down, must-be-licensed-to-use copyright. Just because staff can find a photo using PicFog, ThudIt, Twicsy or Twitcaps doesn’t mean the organization has the right to use it. Use it without permission, and the penalty could be substantial. Add to the advice list: Train your staff so that they understand how to appropriately share and republish social media postings. Web sites should start with the notion that if they cannot find a photographer’s contact info for a picture, it is unavailable for use. The most risk-adverse route for organizations: Use the “embed” code provided by Twitter or Twitpic to easily incorporate tweets in your story. In some cases, such as photos on pic.twitter.com and videos from YouTube, referenced media will automatically be displayed with the embedded tweet. Twitpic provides embed code only for thumbnails, not full-size images; the code includes a link back to the Twitpic page and user account. 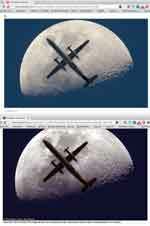 There is an undocumented work-around, however, for displaying a larger image. Alternatively, consider using Storify to curate a story using sources from multiple websites. Same thing: Understand the terms of service on a web host before you upload your images. Almost all of the services make it clear that you have not relinquished your copyright in exchange for hosting. It’s the license that you are granting the service in exchange for hosting that bears inspection. any restrictions, such as a prohibition on commercial use. However, Twitpic and MobyPictures — two micro-hosting services — also have restrictive (i.e., protective) licensing provisions. MobyPictures contains no licensing verbiage in its TOS. Instead, it explicitly prohibits commercial use without consent. Since Twitter began hosting images — first at PhotoBucket but now in-house — traffic at Twitpic has plummeted. However, Twitpic photos may still be displayed inline with tweets on Twitter.com. What about larger photo-hosting services like Imgur, Instagram, Lockerz, PhotoBucket or yFrog? Facebook bought Instagram in April 2012 and both companies recently updated their terms of service. After the purchase, Instagram’s traffic increased from less than 2 million unique visitors a day to more than 15 million in December, giving it more unique visitors than Flickr or PhotoBucket, according to Compete. The company made a rapid about face, but there was fall-out. The new Instagram TOS specifically addresses advertising but not how non-partners may use your content. “If you make your Content public, you grant us a worldwide, non-exclusive, royalty-free license (with the right to sublicense) to copy, distribute, publicly perform (e.g., stream it), publicly display (e.g., post it elsewhere), reproduce and create derivative works from it (meaning things based on it), anywhere, whether in print or any kind of electronic version that exists now or later developed, for any purpose, including a commercial purpose. You are also giving other Users the right to copy, distribute, publicly perform, publicly display, reproduce and create derivative works from it via the Site or third party websites or applications (for example, via services allowing Users to order prints of Content or t-shirts and similar items containing Content, and via social media websites)”. Photos, of course, are also shared on non-dedicated services like Facebook, Google+, Posterous and Tumblr. Are these licenses any more or less favorable to photographers? Google limits the derivative works provision of its license to “adaptations or other changes we make so that your content works better with our Services.” However, “[t]his license continues even if you stop using our Services (for example, for a business listing you have added to Google Maps).” There is nothing explicit about how others might legally (or illegally) reuse your content. Both Posterous and Tumblr have protective terms. The Posterous license is limited to the Posterous site. The Tumblr license limits sharing content: reblogging on Tumblr or sharing on approved third-party services. You can review a detailed comparison of the terms of service for 13 photo sharing sites or check out a summary table. Also, see statistics on unique visitors, as well as Alexa ratings, for the 13 sites discussed here. The web is a relatively young medium (two decades), but arguments about copyright infringement are centuries old. AFP v. Morel is not the only case — nor the first case — involving digital copyright questions. However, most cases have involved a different sort of infringement, one that involves DMCA take-down notices issued by corporations. With quality cameras in almost every cell phone and easy push-button publishing to the world, the web is awash with digital images. The temptation to use the work of amateur photographers, particularly in breaking news events, will be hard for media organizations to resist. Citizen journalists: Set up your YouTube account so that you can receive Google AdSense compensation. Set up your Flickr account to license your work via Getty Images for commercial use. Media: Know the terms of service. Understand the difference between a promotional medium — tweets and Facebook status updates linking to an image — and hosting sites like Flickr, Instagram or Twitpic. When in doubt, use the Twitter embed code or an aggregation tool like Storify. Finally, take Glenn Fleishman’s advice to heart: If you can’t identify and contact a photographer, don’t download and use the image to illustrate a story. The case is Agence France Presse v. Morel, U.S. District Court for the Southern District of New York, No. 10-02730. Kathy Gill (@kegill) has been online since the early 1990s, having discovered CompuServe before Marc Andreessen launched Mosaic at the University of Illinois in 1993. In 1995, she built and ran one of the first political candidate websites in Washington state. Gill then rode the dot-com boom as a communication consultant who could speak web, until the crash. In 2001, she began her fourth career as an academic, first teaching techies about communications and now teaching communicators about technology at the University of Washington. For almost five years, she covered politics for About.com; for three years, she covered agriculture. Hey, great article. Thanks for the detailed references. WHO OWNS PHOTOS? ASK BILL GATES WITH CORBIS. THEY DESTROYED A FRENCH COMPANY CALLED SYGMA IN 2000. I WAS ONE VICTIM, EVEN JAILED, AND I CAN NEVER RETURN TO THE USA. Jonah Peretti sounds like shard.